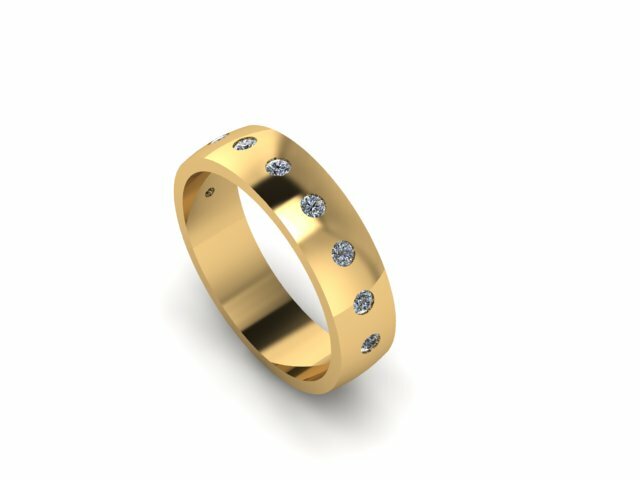 I recently had the opportunity to make a custom 14KT yellow gold men’s band with flush set diamonds. 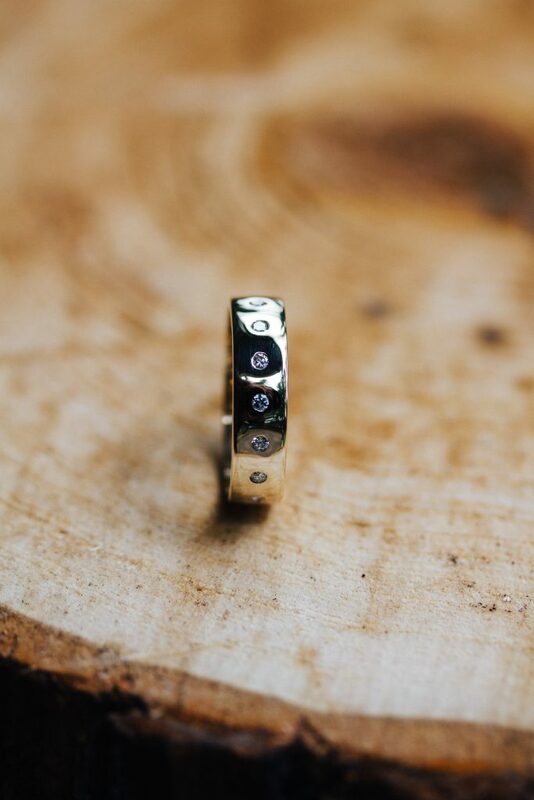 The ring was made 6mm wide, with 9 flush set diamonds even spaced apart. Side note: I’m giving away a pair of 14K rose gold earrings for Mother’s Day! Just subscribe here to enter! Giveaway ends May 5. When I was collaborating with my client, they came up with the super sentimental idea of having one stone for each family member in their life! I thought this was a super cool idea and contemplated on whether or not the stones should be all close together or spaced out. Having them close together could have been a nice way to represent a “tight knit” family vibe. In playing around with the design however, I really liked doing a design where stones were spaced out. It gives more meaning to each individual. 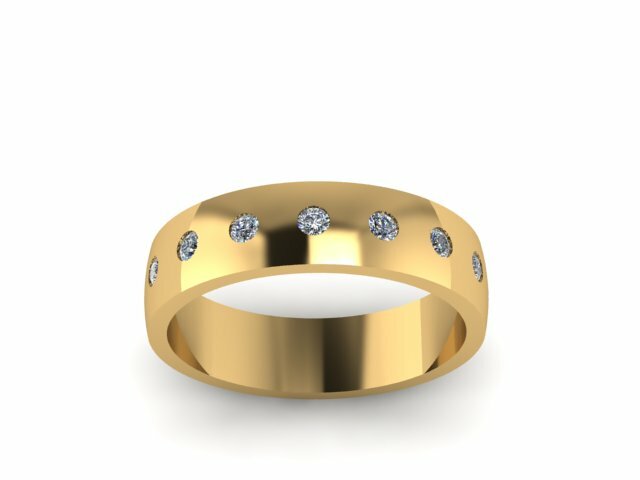 A vast majority of the time that I do custom jewelry, I’m utilizing CAD software to give the client renderings of how a ring will look before it is cast in metal! 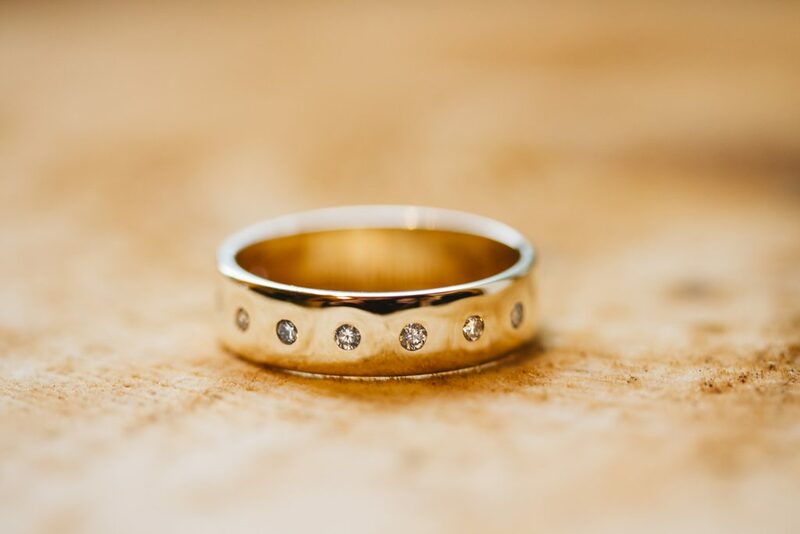 This gives the client the opportunity to see in high detail how their ring will look, and they can also request any changes they might want to make to the design. Want to work with me on a project? Fill out the Custom Jewelry form! 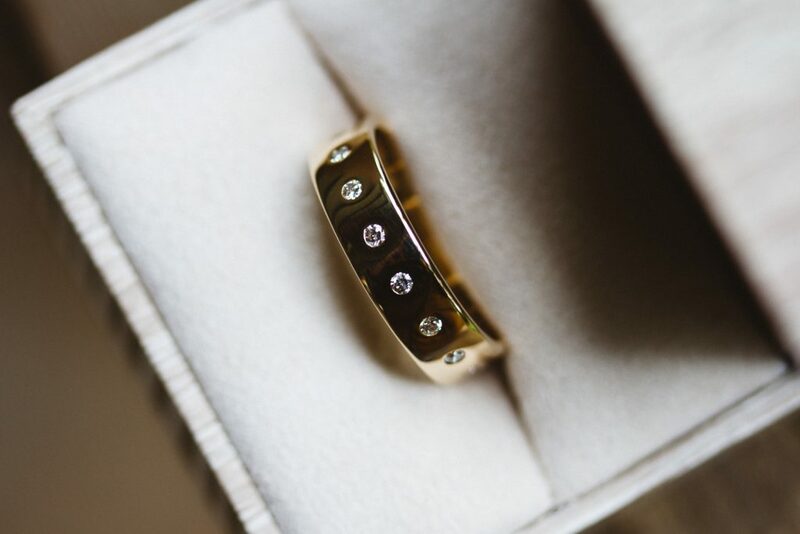 Flush set stones are perfect for men’s bands that want to use diamonds, but also keep a masculine appearance. Flush set stones are also excellent due to their low profile. That means they don’t have any prongs to scratch or snag on anything!